What if you didn’t have to pay hundreds of dollars in gym memberships or spend hours at a time on vigorous workouts to dramatically improve your health? What if you could still increase your lifespan and help prevent against varicose veins, blood clots, and leg pain in just 30 minutes a day? New research shows that you can! A recent study from the American Journal of Epidemiology shows that exerting some form of movement or light exercise for half an hour every day can help decrease the risk of death by around 17%. That number jumps up to 35% when the 30 minutes of exercise a day includes more active exercises. 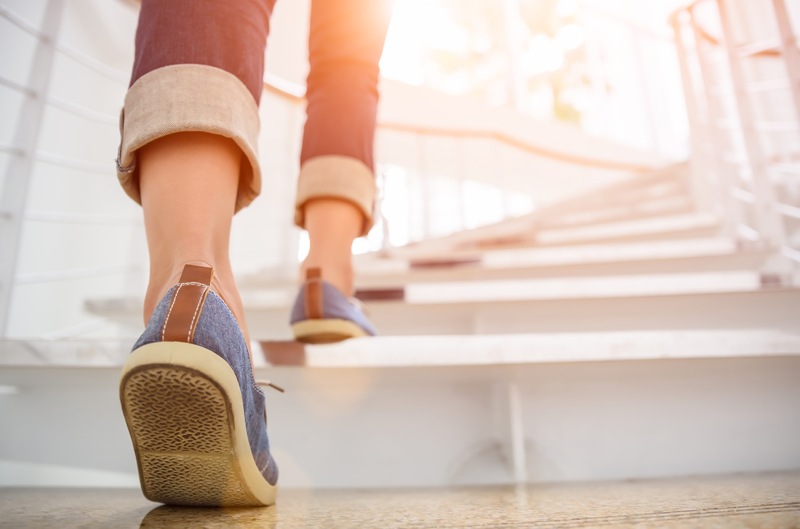 If you don’t have a 30 minute time slot in your day to dedicate to a short walk, split your exercise into smaller increments throughout the day. Get up more often to get a drink of water or walk around while you’re on a quick phone call. Just as long as you get your 30 minutes in that actively changes up what would have been an otherwise sedentary daily routine. Decreasing sedentary time is the key here. For many individuals, though, this may seem like an insurmountable task, especially if their jobs require sitting all day. But it’s those long periods of uninterrupted sitting that can sometimes lead to health complications, including cardiovascular problems such as venous insufficiency and varicose veins. These are conditions developed by poor blood circulation and often results in an acute pain in limbs and extremities. Blood vessel walls begin to weaken, losing their structure and causing blood to collect in vessels rather than flow freely. On top of the leg pain that may be experienced, blood clots can also form and pose a dangerous threat if they find their way to vital organs such as the lungs or heart. The good news is that this study indicates that even small changes to your routine can make big differences to your overall health. And it starts with just 30 minutes of walking or other light exercise a day! If you are experiencing leg pain or notice varicose and spider veins creeping up in your legs, schedule a consultation appointment with Heart of Dixie’s vein specialists at our vein centers in St. George, Cedar City, Kanab, and Fillmore. We can create an exercise plan for you and provide varicose veins treatment to relieve your leg pain. Why Don’t My Vein Disease Symptoms Look like Someone Else’s? Am I at Risk for Chronic Venous Insufficiency?